VLC can also used for recording videos during Playback. But, By default the record button is hidden in VLC. First you have to enable the Record Button. The record button will now appear. Clicking again in record button will stop recording. Hewlett-Packard's Linux Imaging and Printing software (HPLIP) is used for driving HP Printers and Scanners in Linux. HPLIP software which supports 1,952 HP printers. Most of the Linux Distributions includes HPLIP.Only need to upgrade. Printing support for HP printers including: Deskjet, Officejet, Photosmart, PSC, Business Inkjet and LaserJet. Color and monochrome scanning from compatible Officejet, PSC, Photosmart, and LaserJet MFPs. USB, network, and parallel connection types. If the installation shows any error, there may be some missing packages, then you have to install the missing dependencies and retry the installation again. If you have VLC player, no need of other DVD ripping Software. It includes a basic ripping facility. Media menu -->Convert/Save--> Disc tab. You can adjust the Starting Position and choose only specific titles or chapters. Enter file name with .MPG, and start ripping. You can see a Windows button ( button with Windows Emblem and placed between Ctr; & Alt) in the Keyboard. This Tip will help you to utilize that key for opening your Ubuntu Menu in a single touch. Convert Your files to DivX on Ubuntu / Debian using Simple utility DivX Converter. 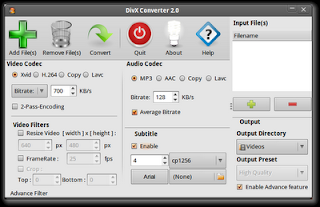 DivX converter is a simple Mencoder GUI to Make Video with subtitle attach for your DivX Player . It support Copy AVI , HDTV, NTSC and PAL format . 3. Has many different filters to convert to LIKE : High Quality DivX , HDTV , NTSC , PAL and Custom AVI filters. 4. You can merge your subtitle to your favorite video, with many encoding support . You can convert your existing Ext3 filesystem to Ext4 with an easy procedure. This way you can improve the performance, storage limits and features of your existing filesystem without reformatting and/or reinstalling your OS and softwares. Next, run a filesystem check on it to make sure it is in sane condition. Run a filesystem check. to make sure that the filesystem is now clean. Now edit your /etc/fstab file and replace "ext3" with "ext4" for /dev/sda1. Other options may differ for your system. 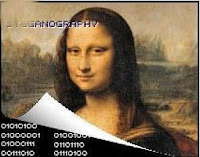 steganography is the technique used for hiding various data in different type of image and audio files with out changing the basic characteristics of file. Steghide is a utility for steganography. The color- respectivly sample-frequencies are not changed thus making the embedding resistant against first-order statistical tests. After you have embedded your love letter love.txt data as shown above and you can send the file picture.jpg to your lover. wrote extracted data to "love.txt". Most of the system administrators need to sync some of their local folder to remote folder. You can do this with a simple command line utility rsync. This will synchronizes files and directories from one location to another , securely by using delta encoding. It will synchronize files across the network by transferring only data that has changed. Some users will eat lot of space in the system by storing unwanted files. This bash script will help you find which folder using more space. When You use 'sudo' command it will ask for password in First time and will remember password for 15 minutes. It is a security hole for sensitive systems. 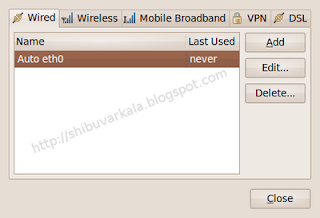 You can change sudo Password Remembering Time in Ubuntu . Where X is the time that we remember the sudo password, if we put 0 (zero) that we always get the request. Finally to save the changes, press Ctrl + X and said yes. If your Ubuntu machine is nor working properly after a partial upgrade and have a have broken the system dependencies tree, You can recover it by using a simple command that reinstalls all the installed packages and reconfigures them automatically.This will take a long time to complete. DNS (Domain Name Server) is basically a system to convert domain names into IP addresses. Domain names are easier to understand, memorize and write for humans while computers only use IP addresses to communicate. In most of the case, Internet Service Providers providing the DNS servers to the customer. User can change it, the reasons to switch to other DNS servers for performance, privacy and censorship. Most of the people using OpenDNS as the first alternative, But Now Google Public DNS is available and the performance is much better. Select the type of connection you have. For this example, we will use ‘Wired’. Under ‘Wired’, highlight ‘Auto etho’ and click on ‘Edit’. Click ‘OK’ and reboot your machine. Gboard is a small simple device for help gmail users. It is a USB device. 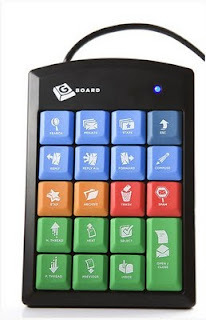 The Gboard has 19 buttons and each corresponds with a task in Gmail. From the board, you can search, go to results, go to starred mail, compose a message, reply, reply to all, forward a message, star and archive messages, delete and mark messages as spam, flip through your messages , select messages and go right to the inbox. 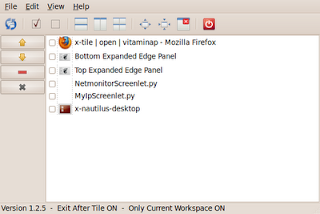 X-tile is a useful gnome applet for your panel (or optionally a standalone application) that allows you to select a number of open windows and tile them in different ways. This is especially useful for comparing products in separate web pages,or for programmers refering to documentation as they are programming. now double-click on deb file and install with gdebi installer. Utube Ripper is an application written in Gambas that works exclusively on Linux. It's useful to download and convert Youtube videos in a simple and efficient way. You can also convert them into a non-flash format. You can use the "Rip audio only" option to extract audio from a YouTube video and can convert into an MP3 format.